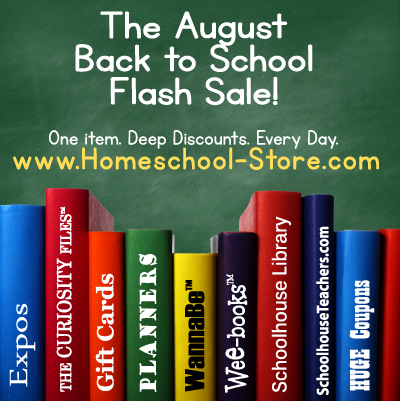 August 1st marks the first day of the TOS August Back to School Flash Sale! Every day will feature a new sale on a different product. To catch all the big deals you'll need to check in every single day. When will these items go on sale?! August 1st - but check in regularly so you don't miss a single price reduction. There will be a new sale every day for the entire month! Take advantage of the TOS Back to School Flash Sale! Save money! Save time! Get prepared for this fall's homeschooling adventure!